The primary mission of Changes Place is to help individuals and families experiencing life problems as a result of alcohol or drug use work toward achieving a greater quality of life. Changes Place was founded to provide outpatient substance abuse counseling services to persons experiencing life problems as a result of their use or abuse of alcohol or other mind or mood altering drugs. It is the goal of Changes Place to provide substance abuse counseling services that meet the highest standards of proficiency in a holistic and humane manner. The professional competence, courtesy, helpfulness, and reassurance provided by the staff of Changes Place strongly influence the outcome of treatment and the likelihood that clients may seek future treatment, if necessary. Care of our clients is a team effort. To this end, we are indebted to all staff members whom assist us in helping our patients realize and maintain a state of wellness. By addressing the whole person, Changes Place wants to help individuals and families achieve a greater quality of life. With over 30 years of experience, professional staff members help individuals identify the nature and extent of the issues which lead them to our agency and help develop lifestyle, attitude, and behavioral changes to avoid future substance-related issues. Changes Place was established to help both individuals and families address issues stemming from alcohol/drug use. 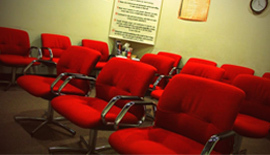 Intervention services (i.e. education, self exploration, and group counseling) as well as outpatient and intensive outpatient treatment services are offered for the purpose of identifying and addressing alcohol and/or drug use disorders. Changes Place believes that every person has individual needs. We have standardized services established, but whenever feasible we strive to address the individual’s need/circumstance. 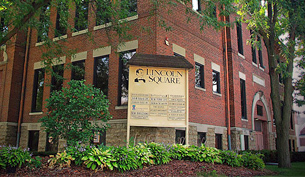 Changes Place is staffed by certified counselors and is licensed by the Illinois Department of Human Services Office of Alcoholism and Substance Abuse (DHS-OASA).